I’m not exactly sure how I first head of the Westman Islands, but it certainly wasn’t thanks to a travel guide. Sure, the islands are listed in all of them, but many times as a passing note, an addendum that I’m sure many people miss. No, the first I heard of these tiny islands off the south coast of Iceland was from a friend, where so much of what we learn about travel originates, and it’s thanks to friends and blogs that I knew enough to plan my first visit to this beautiful part of Iceland. Had I not planned this easy diversion, then I never would have known. I would never have seen or experienced firsthand just how remarkable a place the Westman Islands are, in a country full of seemingly once in a lifetime and remarkable natural experiences the islands are something a little extra special. That’s actually part of the problem, Iceland is such an incredibly beautiful country that the width and breadth of options for tourists is almost overwhelming, and that’s particularly true along the southern coast. That’s how after three visits I still haven’t covered the entire country and what areas I have visited still hold even more for me to see and do. When I first started researching my trip along Iceland’s southern coast, I too was somewhat overwhelmed with options. One of the country’s most active areas, there’s a lot to see and do from the stunning waterfalls close to Reykjavik to the moonscapes surrounding Vatnajökull National Park. The Westman Islands have all of this though, and more. They really are like Iceland in miniature and maybe that, more than anything else, is what captivated me so very much. Iceland is a strange place because, unlike many other countries, we know almost every aspect of Iceland’s history and founding by the Vikings, down to the names of the people involved. Throughout the centuries the history and genealogies of the nation have been dutifully recorded and those sagas for which the country is so very well known contain just as much fact as they do slightly nuanced fiction. Thanks to those stalwart historians, we know that the Westman Islands were founded by the Vikings more than 1,000 years ago. They needed a place to “store” their slaves for a while, and these tiny islands just off the southern coast of Iceland were perfect thanks to their remote location and a complete lack of any building materials from which to craft escape boats. Those slaves were Irish, what the Norwegian Vikings called Westmen. The moniker from Old Norse carried over into Icelandic, which is how we have the odd name we find today. There are several islands, but only one – Heimaey – is inhabited; about 4,000 people live there today. Mainlanders (as people on the Westmans call relatives on Iceland proper) probably know the islands best for their legacy of fishing, the largest puffin colony in the world and an annual music festival that draws more than 17,000 people the first weekend of August. But as I discovered, there’s a lot more to this tiny island than even those lofty superlatives. One reason I decided to go to the Westman Islands in the first place was because it was easy. Spending almost 4-days driving along Iceland’s southern coast, a daylong detour to the Westman Islands was convenient, especially since I stayed at the nearby luxury getaway the Hotel Ranga. The port Landeyjahöfn was an easy 30-minute drive from my hotel, and is only about 10 minutes off Route 1 or the Ring Road. The port facility is a new-ish addition, making ferry travel between the Westmans and the mainland easier than it has ever been. There’s also plenty of free parking if you don’t want to take your car over to the islands with you. As to whether or not you should take your car in the first place, I think it depends. For what I decided to do during my day on Heimaey, it didn’t make sense. But if you don’t want to book a tour, then it might be a good idea to have a car so that you can properly explore the island. For a small island, just about 7 square miles, there’s an awful lot to do. There were almost too many choices as I tried to plan my day, not quite sure which option was best for my first-time introduction to this quirky place. Ultimately, I booked a tour with the company Eyjatours electing to go with their Puffin and Volcano Tour. The reason was simple; this tour gives the best overall look at everything great about the Westman Islands, which is exactly what I needed. I wanted an overview so that I could 1) determine whether or not I liked the islands and 2) if I did, then I would be perfectly set up for future visits. I booked the tour in advance, and finding the company’s office next to the ferry terminal couldn’t have been easier. Climbing into the van, I was excited for my first introduction to the Westman Islands, and what an introduction it was. It’s funny, I’ve spent a lot of time driving around Iceland and for the most part, the towns are small without many services for visitors. The first thing I noticed about Heimaey as the ferry pulled into the port was how large it seemed in comparison to towns like Vik or Borgarnes. Houses and buildings covered the town and it was even busy, another feature lacking in most towns outside of Reykjavik. That’s not necessarily a good or bad thing, but it did instantly set it apart and told me that this experience would be unlike any other I’ve enjoyed in Iceland. The only mistake I made on my visit to the Westman Islands was not spending enough time there. In my defense, I didn’t know. I just didn’t understand that while small, Heimaey and even the surrounding areas demand more than a few hours, that a couple of days is ideal really. Well, I can correct that the next time I visit; on this trip I was more focused on making the most out of a short stay thanks to my guide for the afternoon. Born and bred on the island, Ebbi like many folks on the Westmans stays busy with a variety of different jobs, including introducing folks like me to his quirky home. I say quirky, because even in the broader context of lovingly odd Iceland, the Westmans are even a little more eccentric. Again, this is not at all a bad thing, but it is a result of the millennia-long separation Heimaey has had from the rest of the world. While a short ferry ride away today, that wasn’t always the case and for many generations, the people who called this very tiny spit of land home in effect created their own society. The first introduction to this phenomenon that Ebbi shared with us was sprangen. The technique of using long ropes to collect bird eggs from the craggy cliffs of the out-islands, this treacherous bit of acrobatics was how the people of the Westmans survived for many centuries. Like most of Iceland, the ground is not great and not much grows, so collecting eggs just wasn’t nice, it was a necessity. This, along with many other little insights provided by Ebbi, was the real value of the tour. Learning about the culture and history of a place from a local who can trace his lineage back into the foggy past is pure gold when we travel, and exceptionally rare to discover. The rest of the tour was a great overview of the beauty of the island itself. From what must surely be one of the most picturesque golf courses in the world, to the summit of the volcanic peaks that are now home to more puffins than I thought existed in the world, I saw the island from every point of view, falling deeper in love with each new vista. While I appreciated the natural beauty of the islands almost instantly, it wasn’t until I visited the most barren area of Heimaey when I learned to respect the spirit of the people who call this craggy island home. The Westman Islands are home to one of the newest islands and volcanoes in the world. The most violent of which happened in 1973, when Eldfell erupted from the hills next to the town, threatening the lives of everyone there. The island was evacuated and for a time city leaders worried that no one would return, that the ongoing destruction waged by fiery Mother Nature would destroy the millennia-old culture on this tiny island. 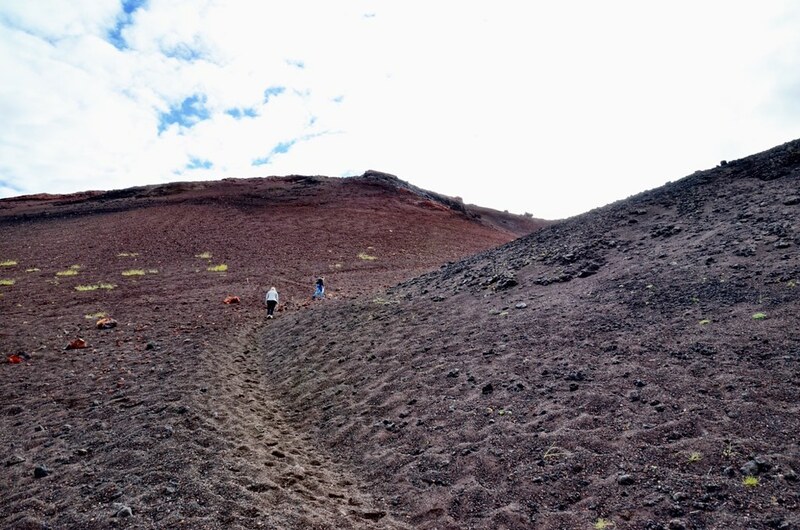 But people did return, reestablished their lives, even with the smoldering volcano looming mere feet away. That’s gutsy and speaks to the personalities of the people who call the islands home and it’s this moxie I think that made me love being there the most. Yes, I fell for the Westman Islands. I felt like I had discovered a hidden-in-plain sight destination in a country that at times can feel a little overrun by well-meaning tourists. I discovered the spirit of Iceland in miniature, containing everything I love about this country in a very compact 7-mile space. I know I’ll be back, hopefully next summer, and will spend a few more days on Heimaey, exploring and getting to know it even better but in the meantime it is my goal to share this place with as many folks as I can, so that they too can experience the magic of the islands for themselves. The number of places to see in Iceland surprises me considering what a small country it is. I haven’t been there yet, but it’s high on my list, and your experience on the Westman Islands is another reason! What beautiful views. Your photos & words bring back memories. We went to Vestmannaejar (Heimaey) in May 2016 for 2 nights. We took our rental car & explored the island quite a bit. I knew about the 73 eruption & was very intrigued. The possibility of puffins added to the appeal. Yet, no puffins sightings for us! But, so picturesque & rugged. A town that fought the lava & won. We had lunch seemingly on the edge of the world by the lighthouse on the far end of the island. Sheep nearby on cliffs were obvious to any ‘danger’. The spectacular golf course. The evening patio cafe with fleeze blankets for patrons. The splurge of a perfect fish supper & beer (brewed on the island). Sunset at 10:30 pm but it never really got dark. Amazing scenery at night with the moon over Helgafell & Eldfell. I was privileged to visit in July 1973. Unforgettable and weird experience. The volcano had only just stopped erupting. Walked on the semi-submerged rooftops of homes. I was six and have loved Iceland ever since. It is almost a magical place. 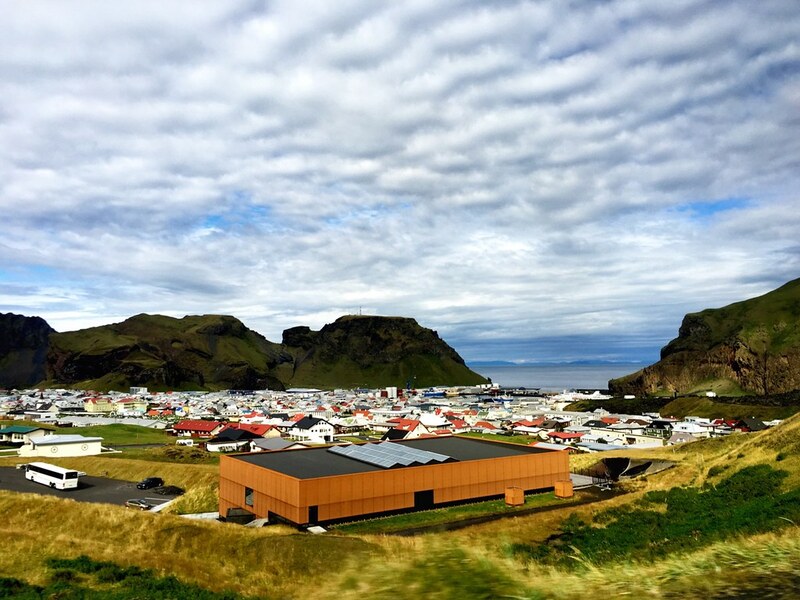 Kudos to you for an outstanding overview of your trip to the Westman Islands. My wife and so will be going to Iceland in May 2019 and I was evaluating whether to spend a full day going to the Heimaey out of seven days we will be in Icelsnd. Your review convinced me to make a day to absolutely do this. Thank you for your detailed review of the Westman Islands in Iceland. I have been to Iceland before and returning in July 2019. I was “on the fence” so to speak about the island and doing a day trip. Your review convinced me to spend 2 nights there. I’ll be traveling with 2 other people who have not been to Iceland and this island is a perfect opportunity to slow down a rushed self drive through the country. Love your photos!